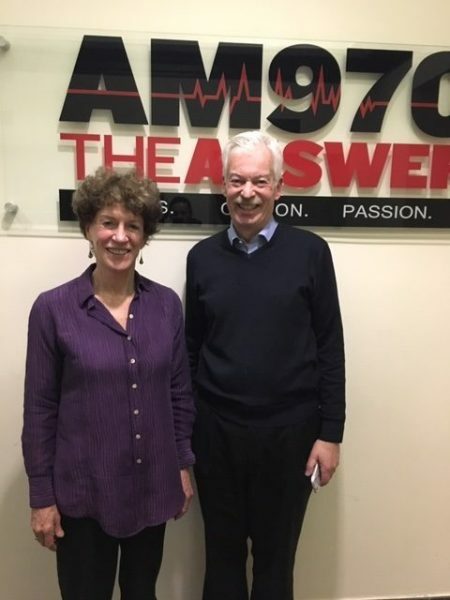 The following is a conversation between Peggy Dulany, Founder and Chair of Synergos, and Denver Frederick, Host of The Business of Giving on AM 970 The Answer in New York City. Denver: There are many organizations that are dedicated to and possess great expertise in areas such as education, health, fresh water, agriculture, and a host of other issues. But there are very few whose expertise is problem-solving, convening, facilitating, and getting people to work together in such a way that it makes a significant difference in the lives of those they are seeking to serve. One of the most exceptional and thoughtful of all of these is Synergos, and it’s a great pleasure to have with us their founder and Chair, Peggy Dulany. Good evening, Peggy, and welcome to The Business of Giving. Peggy: Good evening and thanks so much. Denver: Tell us a little bit more about Synergos, Peggy, the mission of the organization, and what it was created to do. 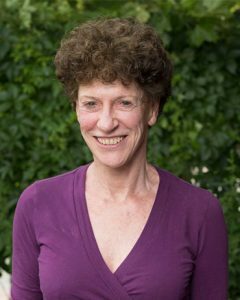 Peggy: The mission is to enable people to solve problems sustainably, particularly around poverty, the environment, etc., but by using methods that allow them to bring their best selves to the table and work collaboratively to do so. ..those who are facing problems related to poverty have the greatest will and desire to overcome them. But as long as we have only top-down solutions, or no policies that help them, then that will has a ceiling. It can’t go beyond a certain point. So, we’re simply left with the impression that we need to have connections, vertically and horizontally, in order for people to be able to solve serious problems related to poverty. Denver: The first seeds for Synergos may have taken root when you worked in a squatter settlement in Brazil as a teenager. Tell us about that experience and the impact that it had on you. Peggy: I had the opportunity to living during three summers in Brazil, and I wanted to do something “useful,” which at the age of 17, 18, and 19 is not so easy. But I ended up working with an anthropologist and a group of diverse people in several favelas to try to understand what it was that enabled people who had moved from rural areas to the urban areas to adapt and survive, actually, because it was very, very difficult. And that left me with the distinct impression that those who are facing problems related to poverty have the greatest will and desire to overcome them. But as long as we have only top-down solutions, or no policies that help them, then that will has a ceiling. It can’t go beyond a certain point. So, we’re simply left with the impression that we need to have connections, vertically and horizontally, in order for people to be able to solve serious problems related to poverty. Denver: Those are powerful seeds. There’s no question about it because the way Synergos has bloomed really does come from that sensibility you had during those three summers. Give us an idea of some of the problems that the organization works on and what parts of the world those might be in. Peggy: Until quite recently, a large part of our focus was in both forming networks, so that we would have the capacity to do the convening and find the right people to work together in many different countries around the world. I’ll give you one example. In Maharashtra, India a number of years ago, we worked with the collaboration and support initially of UNICEF and Unilever and Genron– another convening organization in facilitating– to reduce childhood stunting in the State of Maharashtra, which has a hundred million people. I won’t go into the details of the process now. But the end result, after a long process of building trust across stakeholder groups where there was no trust and no love lost, was that the rate of childhood stunting of children under five went down from 39% to 23%, which really gave us the confidence that the approach we were developing and learning was actually going to work. Denver: Yeah. That’s the first place you really got traction on that approach. Denver: And now, you’ve tried it in so many different parts of the world; you know it’s not specific to any one particular area. There are some universal truths. Peggy: That is correct, although of course, there are cultural differences, and one has to adapt. …bridging leaders are people who have the ability to reach out across divides while not losing touch and credibility with their own constituency. …anything that might have happened from early childhood on that puts one in a state of fear or shame or rage or grief. All of those are ways that people then come to protect themselves, and if I can use non-scientific word, “protect their hearts.” In a way, to be a good bridging leader, you have to have your heart open as well as your ears open. Denver: Systems change, and that’s what you’ve done, requires collaboration because people and organizations who are going at it alone, they can have some impact, but it’s always going to be quite limited. But we know collaboration just doesn’t happen by getting people into a room together; although, I think a lot of people think that’s the way it goes. It really is a lot of hard work. You have egos; you have logos. You have different views of the world. Tell us about the Synergos approach and how you are very intentional about that process. Peggy: I should begin by saying that this four-pronged approach has developed over 32 years. It was not easy to come to, and we kept adding things as we realized that we were falling short. But what we finally came to was that unless you take an inclusive, collaborative approach; and by inclusive, I mean not just the powers that be, but also including those who are affected by whatever problem it is that that particular country has chosen to work on, you won’t get a sustainable solution. So, the core of the approach that we have been using and now are hoping to spread by building capacity and others to use it, is inclusive collaboration. But beyond that, we realized that unless the stakeholders, who probably don’t trust each other because trust is broken down all over the world, are brought together in ways in which they come to perceive where each of them is coming from. Then you won’t be able to build that trust. For example, and this is part of the systems thinking that we use as a tool; we take the group in a diverse form on learning journeys to look at the nature of the problem. And after spending five days together – and you might have a community activist, a government person, a business person, etc.- they begin to see more through the same lens because they understand each other’s perspective. They may not end up totally agreeing, but they will begin to understand the rationale and the feelings behind the other’s perception. So that builds trust, but it also gives you a system-wide perception of what the problem is, and then once you have that trust, you can begin to generate consensus and rapid prototyping to get to really creative ideas to solve the problem. So, that’s one – systems thinking. Secondly, we realized that there is a type of leadership that really helps this happen. We call it “bridging leadership,” and that’s become the core of what we do and what we believe is necessary to build trust and solve problems in the world. So bridging leaders are people who have the ability to reach out across divides while not losing touch and credibility with their own constituency. But as we began to notice these people, and, in fact, research what were the key characteristics; one of which is deep listening, the ability to put yourself in other people’s shoes, to empathize with others, and to dialogue with those with different perceptions; once we realized that, then we realized – so why aren’t more people bridging leaders? What are the obstacles, even with the good bridging leaders, that get in the way of their actually being able to do this empathic listening, convening, etc.? And we realized that a lot of it relates to, I’ll use the dramatic word – trauma– anything that might have happened from early childhood on that puts one in a state of fear or shame or rage or grief. All of those are ways that people then come to protect themselves, and if I can use non-scientific word, “protect their hearts.” In a way, to be a good bridging leader, you have to have your heart open as well as your ears open. So, then we began the fourth pillar, which was the inner work: to help those stakeholders begin to step back from their busy lives, which is very hard if you’re a corporate CEO or a government minister or an activist. But to do that in such a way that they begin to recognize at least: you never get over the total trauma. But if you begin to recognize the triggers, and you can then step aside from it; then you become a better listener; a more empathic person, able to approach the world more with your heart open and your ears open. …you don’t have a hundred other things running around in the back of your mind. Fully present. That, and also that you feel secure in yourself, so that you’re not constantly thinking of what you’re going to say next… or what’s your next question. You’re actually really focusing on what that person is saying, and then allowing the next step to come up. But that really does mean being present and being calm. Denver: Let me touch on some of those things, and that was a wonderful overview. Thank you for that. Let’s talk a little bit about listening. Because I think… everybody thinks they’re a pretty good listener, but they’re really not. As a matter of fact, when I go to a lot of these seminars, they’ll have the 6 points, and listening will be point number 2 or point number 3, and everybody just skips over it because they’re good listeners… and they’re not. You are one of the organizations – one of the first – to recognize the importance of listening to those people who are closest to the problem. What does make for a good, deep, active listener? Peggy: The easiest way to see it is that you don’t have a hundred other things running around in the back of your mind. Fully present. That, and also that you feel secure in yourself, so that you’re not constantly thinking of what you’re going to say next… or what’s your next question. You’re actually really focusing on what that person is saying, and then allowing the next step to come up. But that really does mean being present and being calm. Denver: And trusting yourself that it will come. Denver: That it’s somewhere inside of you, and also that the people you’re talking to, the answer is really inside of them. Especially, if you just try to bring it out, to be a facilitator, but not try to dictate it to them. You talk about the inner work. One piece of that is the “ shadow” that is attached to each of us. What is the shadow? And where in the world did it come from? Peggy: Of course there are many ways of describing it and many theories, but I’ll give you mine which isn’t that I invented it; it’s what I’ve taken from various pieces of literature. Usually when we’re young, something happens; a parent, a caretaker, a teacher will tell us something that in our young ears, we hear as: “You are bad!” Not just: “This is a bad or dangerous thing – you shouldn’t be doing it.” So, we internalize that judgement about ourselves, of course, trying not to repeat that behavior for the most part. But what ends up happening is, that internalization takes a lot of energy to keep down. Let’s say we’re a very energetic, young child, and we love running around and putting our fingers in electric sockets and all of those things, and we get that repeated feedback. We try to stop it because the people on who we depend for our lives when we’re very young children are telling us we’re bad. So, it takes quite a bit of energy, if we’re an energetic child and even if we’re not, to hold that down, and we tend to do that our entire lives until we begin to look at it. So, not only are we repressing a vital energy in ourselves, but it turns out – and this is the best way to find out what your shadow is – think of the person who triggers you the most and what that behavior is. If you think of that, and then you think, “Ugh!” which the first time someone…you’re really on to something. I’ll just give my own example. I think it helps with the story.My mother had six children. It was more than she could manage, and we were all energetic, and she couldn’t stand our taking center stage, talking too much, etc. So, my protection became to be relatively mute, not talk too much, not take the center stage. So, when I see someone who is doing that, it makes me so mad. And I have to recognize, “Okay, that’s what I really wanted to do, and I wasn’t allowed to!” That’s a piece of my shadow. Coming to realize that this is something that happened very young. We were not bad. We were just children. Coming to accept where the roots of that are, and that actually, if we can free up that energy… even though it may first come out a little abruptly, that we’re going to have so much positive energy for the rest of our lives. So, it takes practice. Denver: I bet it does because I can see. That was a great point of how you identify the shadow, but then how does somebody learn to accept that that is, in fact, part of them? Peggy: This is really where the inner work comes in. It’s related to the results of trauma – the guilt, rage, shame, fear, etc.- I didn’t mean to say guilt – I meant to say; although that’s another factor – I meant to say ”grief.” The relationship is, that if we don’t have the space to go in and examine, to step back and allow ourselves the opportunity to let this come up in a guided way, it’s very difficult to do this completely by yourself. So, this is why we do groups, both in the partnerships that we create; we do groups with the stakeholders; although, we don’t go quite as far as we do on the wilderness retreat groups. Because in getting the feedback, the immediate feedback, within a safe container within a group, both builds trust which is so fundamental for everything – allows ourselves to be vulnerable and to really feel the cost of what it is that we’ve been holding back or letting out all these years. Then other people begin to admire the one who exhibits that, and they see, “Oh, my gosh, this is actually okay. This is safe.” And then a sense of belonging comes, and from there, you go on to creativity and being able to be more present. Denver: And I know it’s so important to accept that part of you. It’s not a bad part of you. There’s no judgement that you should pass on it. It is just part of you, and it’s neutral in that sense of the word, and you need to listen to it. I guess in that sense, your greatest trauma could also be your greatest gift if you can identify it. Peggy: Absolutely. I’ve said that many times. I use the word “wound.” If you can, it really does allow you to open up so much more. Denver: What do you think stops us from being our best selves? Peggy: Fear, shame, grief, rage, and the fear of its implication. With most of us, with our shadow, we’ll do things like, “Oh, my gosh. That wasn’t me.” We’ll explode if somebody… in a way that really the situation didn’t merit. That’s the leaking out of the shadow. Until we can recognize where it’s coming from and why that got triggered – by the way, it’ll probably always get triggered a bit – so we have to go back to the beginning, witness it in ourselves, step aside, recognize what happened, and then go on again. Denver: It’s like going off a diet. Just don’t go on a binge. Just take a step back and start up again. You talked a little bit about hitting the “pause” button because we live in a society where achievement is celebrated. The more you can achieve in the least amount of time is celebrated even more, and if you do it without sleeping, you’re a superhero. But you really believe that hitting that “pause” button, and reflecting, is so important. What happens when you take the time to do that? Peggy: Most of us don’t until we burn out or break down or get sick, first of all. That’s reality for many people…unless… there’s some lucky people who have a calm personality. They don’t overdo it. They maybe start meditating early in life. So, I’m not talking about every single person, but most activists, most executives, most government officials just do it. The same happened to me after 13 years of trying to put Synergos together. I moved to Montana. I took a sabbatical. During that time, I began to – as I was hiking and skiing in the woods or riding behind cows or whatever –it gave a space in the context of the beauty of the natural world, which allowed me really to forgive myself, which is another important thing. Usually, we blame ourselves for all of this. And it also allowed me to get a good night’s sleep for several months, which is another key factor. You mentioned lack of sleep. We are not our full selves when we’re living in an exhausted state. It really begins that we find a place; not everybody would like to be in the remote mountains of Montana or can be. So, the question is, how can other people who don’t have that liberty find the way with other people, or alone, to take that pause and just give themselves the reflection? Some people find it in religious services. That gives them great confidence and a feeling of safety. Others find it in meditation. Others in exercise – running, yoga, etc. There are lots of ways of going about it. Not everyone needs to take a full sabbatical to make it happen. But if you really have burned out, you may not have a choice, or your health may be at stake. In my thinking, this process of looking inward, being in the context of a safe group, etc., taking a pause, leads us not only to be more present, not only more loving, but almost everybody wants to serve after this. It’s almost the automatic output of healing yourself; you want to give that back to the world. So, if people start with that desire to serve, and usually humility comes along with going through the process… so you’re not so full of ego or competitiveness or whatever; then you’re starting at such a great place because you’re open, and hopefully, you find or help get other people open. And then the possibilities are endless for collaboration and results. Denver: When you’ve seen people who have done this in your work, and then come together with others who have as well, to try to tackle one of these really complex social problems, what’s the difference that you’ve seen, compared to the normal way we’ve gone about doing our business? Peggy: That’s a great question. In my thinking, this process of looking inward, being in the context of a safe group, etc., taking a pause, leads us not only to be more present, not only more loving, but almost everybody wants to serve after this. It’s almost the automatic output of healing yourself; you want to give that back to the world. So, if people start with that desire to serve, and usually humility comes along with going through the process… so you’re not so full of ego or competitiveness or whatever; then you’re starting at such a great place because you’re open, and hopefully, you find or help get other people open. And then the possibilities are endless for collaboration and results. Denver: When you show a little vulnerability, everybody else feels it’s safe for them, particularly when the leader does that in an organization. I can’t think of anything that’s much more powerful than that. I know you go about your work and do a lot of it through networks. Tell us a little bit about those networks and how they’ve been utilized to help solve some of these problems. Peggy: I can give three examples of networks that we’ve been engaged with for many years. One is called the Senior Fellows. That’s now about 150 senior civil society leaders from 50 countries. We have people who have gained trust among themselves and with us who are all serving, some of them more or less with love. Our very talented individuals that we can call on; there so far has never been a country that we’ve been asked to do something in that we couldn’t through our network find good people in that country. So, that’s invaluable. Secondly, a number of years ago, we began to realize that the kind of work we were doing wasn’t the type of work that people in a position to be donors, philanthropists– either institutional or individual or foundations – were funding. And it occurred to us that if we could, first of all, create a peer-learning network of philanthropists from around the world– both in the northern and southern hemisphere– to do the same thing we’ve just been talking about… create trust among them, so that they really are open to learning from each other, substantively, culturally, and other ways… that they would also be thinking in a way more of serving with love rather than just: How can I apply the 1% or 5% of whatever the money I have to give away in the most strategic way? But usually that strategic way is measured in terms of measurable outcomes of reduced deaths or illness or whatever, all extremely valuable, but the sustainability of those solutions is probably not going to be there unless these other things – the building of trust, the bringing people together, the helping them become better bridging leaders, including the philanthropists and the organizations they fund. So, we started this Global Philanthropy Circle which now has about a hundred families from about 35 countries. And again, it just feels like a miracle every time they get together because, especially those that participate enough, they really love meeting with each other. Some of them have been to these retreats together, and it becomes more and more creative, and they create their own affinity groups, whether it’s about refugees or shifting the food system, or what we call the spiritual civilization. They create it because those are common interests across people from different countries. The third, I would just mention, is that in the MENA region, the Middle East/North Africa region, we found a great need for what we call social entrepreneurs. There’s a huge lack of employment, especially youth employment. So, we have a program that forms a network of people who are needing employment, to learn from others who are mentors– maybe who’ve been doing it for longer – how to create their own employment, how to use their creativity to figure out how to get things done. That has also been hugely enriching in what’s otherwise a troubled, as well as extremely creative area. 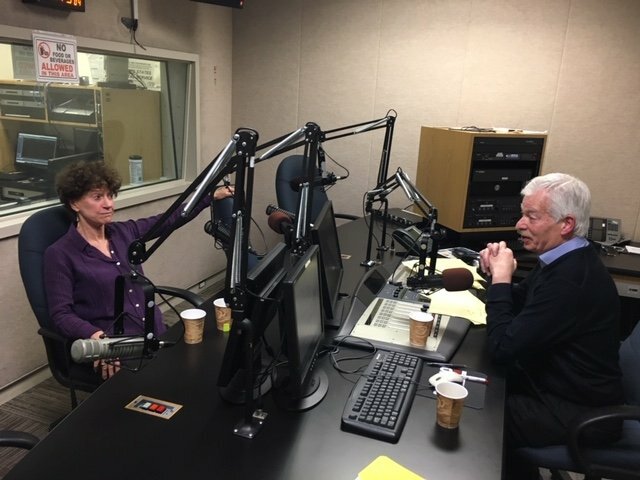 Denver: Let’s talk a bit more about philanthropy… being the daughter of David Rockefeller, you have spent your entire life around philanthropy and service, and it’s probably something that was talked about around the dinner table all the time. Looking just sort of on the macro beyond your network, which is so effective, how do you think philanthropy could be utilized more effectively? Peggy: It’s a good question. There are of course many different answers to that, so I don’t pretend to have the one. Very often, people who come into money, either they make it, or they inherit it. Philanthropy reaches their radar screen because they hear that other people are doing it, or they think they should do it, or they really want to do it. But not everybody has the opportunity to get, I don’t really like to use the word,” trained,” but have their capacity built – all the principles I’m just talking about – as well as more skill-based things of how to measure impact and all of that, and there are wonderful programs that do that and wonderful ways that bring both the young and other philanthropists together so that they will have the impact that they want. And they’ll realize what their passion is, and they’ll apply not only their money… I always make this point… but their skills, their connections, their influence, everything they have to bring to bear together on the issues around which they feel most passionate. Denver: The totality of who they are. Otherwise the money is very antiseptic. …we’ve been through a number of iterations that I think all activists and passionate people face, which is we get so caught up in the work that we’re doing that we often don’t stop to breathe, to stretch, to meditate, to just socialize with each other. So, we’re really working on creating a culture that allows for that and encourages it and offers the opportunity for people within the organization or outside to take time to really devote themselves to improving themselves in the sense of becoming better bridging leaders themselves. Denver: You write a check, it’s not the same thing. The corporate culture at Synergos is so much admired. What are a couple of things that you believe, Peggy, that are vital to a healthy and vibrant workplace culture? And how do they manifest themselves at Synergos? 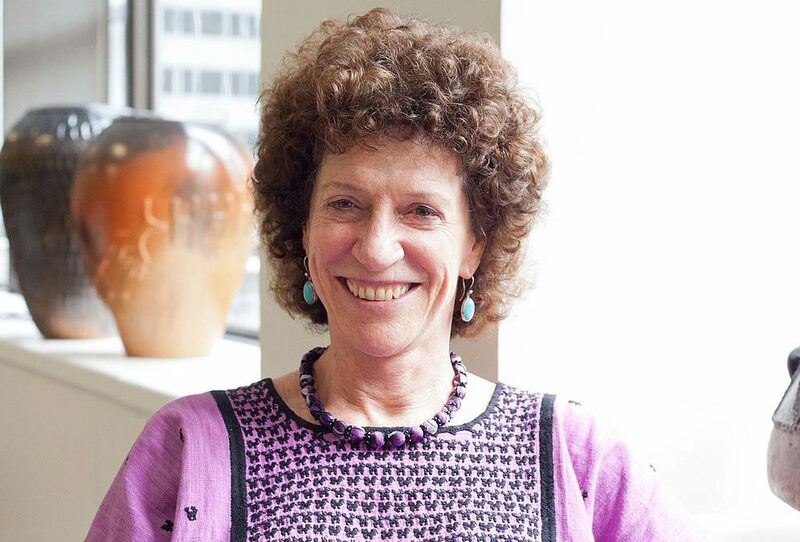 Peggy: I should start by saying that we’re not perfect, that we’ve been through a number of iterations that I think all activists and passionate people face, which is we get so caught up in the work that we’re doing that we often don’t stop to breathe, to stretch, to meditate, to just socialize with each other. So, we’re really working on creating a culture that allows for that and encourages it and offers the opportunity for people within the organization or outside to take time to really devote themselves to improving themselves in the sense of becoming better bridging leaders themselves. Denver: Let me close with this, Peggy. We have lost trust. We’ve lost trust in our institutions, our religious institutions, a lot of our businesses, the media, and each other. What can we as a society do to regain that trust? Peggy: I would apply that globally, because it’s not just in the United States, and it’s also between the United States and other countries. We do quite a lot of work in China, and a lot of it has to do with building relationships between mostly business and some civil society leaders in China, and some of our members of our networks from other countries because I believe that across countries, it’s at least equally important to build that kind of trust. And you have to do it almost one person or one group at a time. There are remarkable organizations in this country that are trying to do that across the political divides, across the economic divides. There are people, I think, who are increasingly recognizing that this has to be a piece of everything we do. It’s not just solving a pollution problem or a poverty problem. The context in which it’s done, bringing all the stakeholders together in a way that builds that trust as a basis, not just an end point, but a basis for then coming up with the most creative solutions. Denver: Peggy Dulany, the founder and Chair of Synergos, I want to thank you so much for being here this evening. Tell us about your website and some of the information that listeners will find if they come visit. Peggy: Thank you. Our website is www.synergos.org. We would welcome people to visit it, to get in touch with us. If you want to get involved, we can find ways to help you get involved. Thank you so much, Denver. Denver: My pleasure. You have some great information there, including some of the papers you’ve written on that inner work which I really found to be fantastic. It was a real pleasure to have you on the show, Peggy. Peggy: Thank you so much.